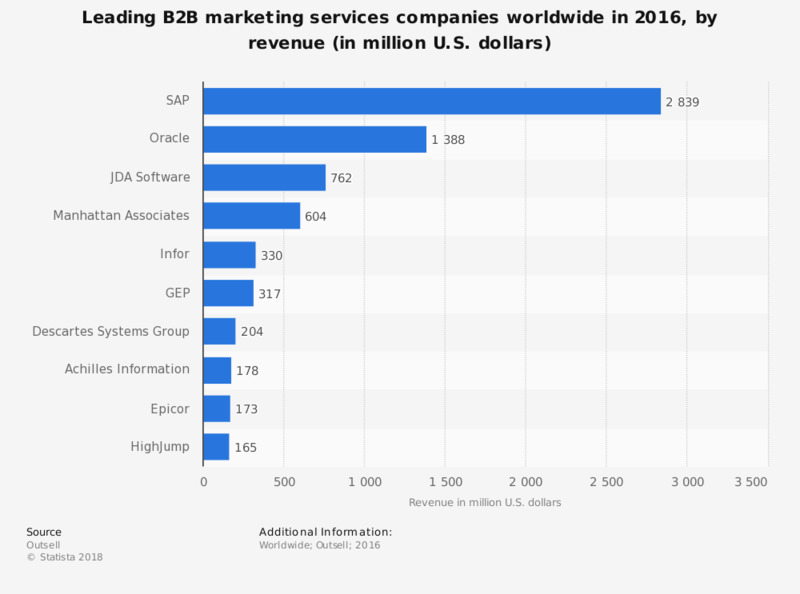 The statistic shows the leading B2B marketing services companies worldwide in 2016, ranked by revenue. SAP ranked first, with a revenue of 2.84 billion U.S. dollars in the measured period. Everything On "Oracle" in One Document: Edited and Divided into Handy Chapters. Including Detailed References. Statistics on "B2B marketing "
What marketing-allocation platform(s) do you actively use? What are the most valuable features of a marketing automation system? What is your estimated percentage allocation of marketing spend by channel? How important is social media? Are you able to calculate the revenues generated from your e-mail marketing activities? What type of external provider do you have?